In its pure, crystalline state, Diindolylmethane is inadequately absorbed by the human body. 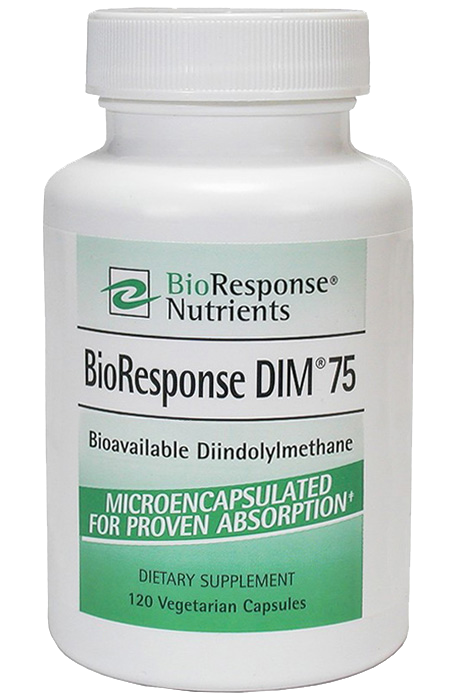 BioResponse’s microencapsulated absorbable Diindolylmethane is the only proprietary, absorption-enhanced formulation for Diindolylmethane. 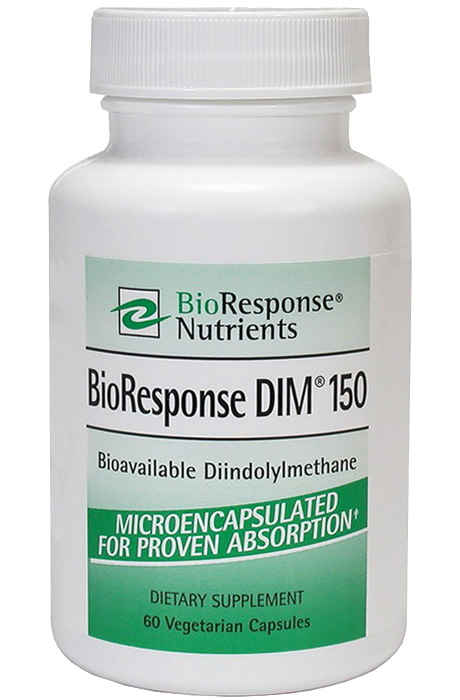 BioResponse DIM® is also known as BR-DIM®. DIM improves estrogen metabolism and helps support healthy estrogen balance. BioResponse DIM® has been used in both men and women. Women who are using oral contraceptives (birth control pills) should consult with a health care professional before taking this product. Persons taking prescription medications should consult with a health care professional before using this product. Individuals with allergies to corn should not take the product as some of the ingredients in the patented formulation are derived from this source. Harmless changes in urine color may occur with the use of this product. Store in a cool, dry place. More information about Bioavailable DIM can be seen on our links page.